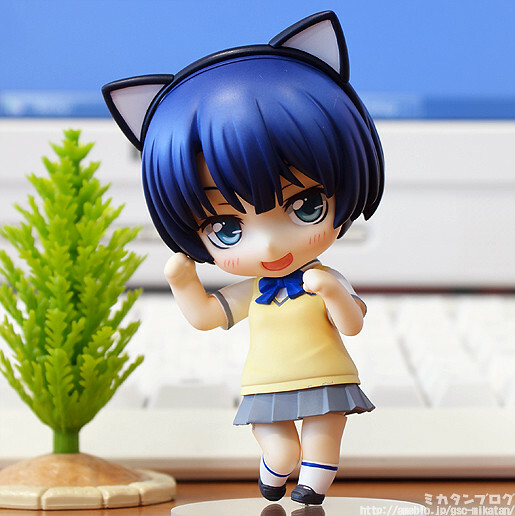 From the anime series ‘Waiting in the Summer’ comes a Nendoroid of Kanna Tanigawa, the girl who finds herself caught up in a complicated love triangle. She is wearing her Komoro High School uniform just like Ichika Takatsuki before her! Kanna comes with an alternate head part that allows you to display her wearing a cat-ear Alice band, and she also comes with a crying expression which means you can recreate the cute cat pose with teary eyes. You can also pose her with Remon Yamano’s special ‘Dynamite Drink’, as well as in the crawling pose she took when she was drunk, which looks great with the included indulgent expression! She will be available for 3500 Yen and scheduled for February 2013 release. Along with the usual figurine retailers, she will also be available for pre-order at Goodsmile Online Shop. 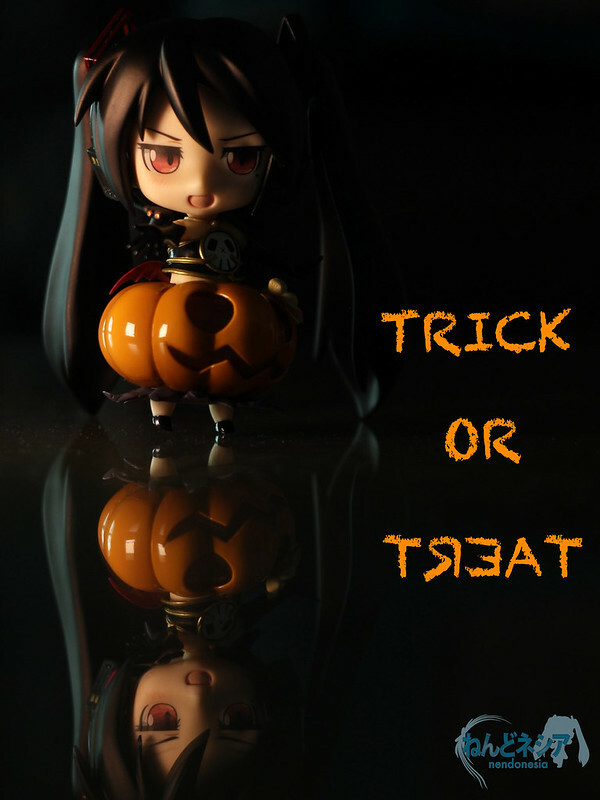 Orders can be placed between the 30th October 2012 (Thu) from 12:00 until the 28th November 2012 (Wed) at 21:00. 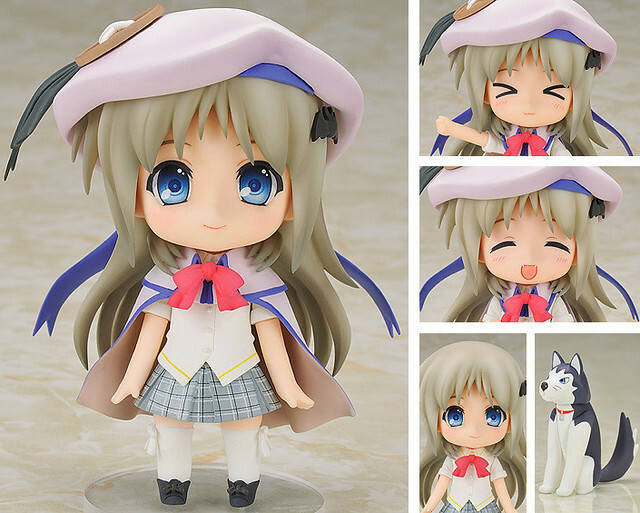 The Nendoroid design for Nendoroid Lily from anim.o.v.e was initially displayed months ago. Fast-forward to today and she is finally announced and available for pre-order! The Vocaloid who is rapidly gaining popularity – Lily! 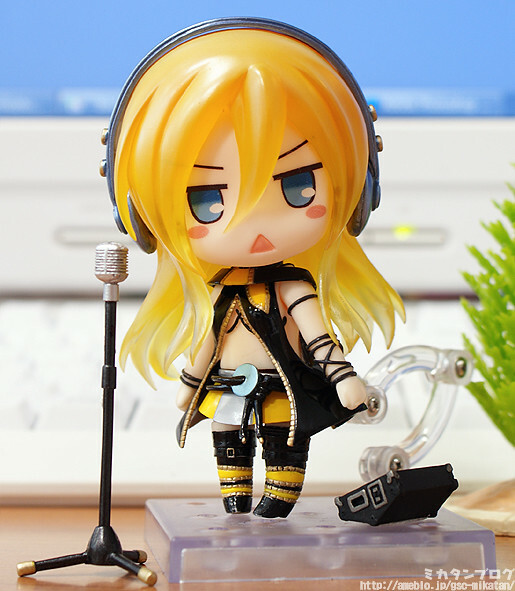 She comes with optional parts including a microphone and speaker, which allow you to recreate the pose on the ‘VOCALOID2 Lily’ packaging! She also comes with a singing expression to pose her singing out loud, as well as an expression from ‘Harii’ the fan-made bee character based off Lily! 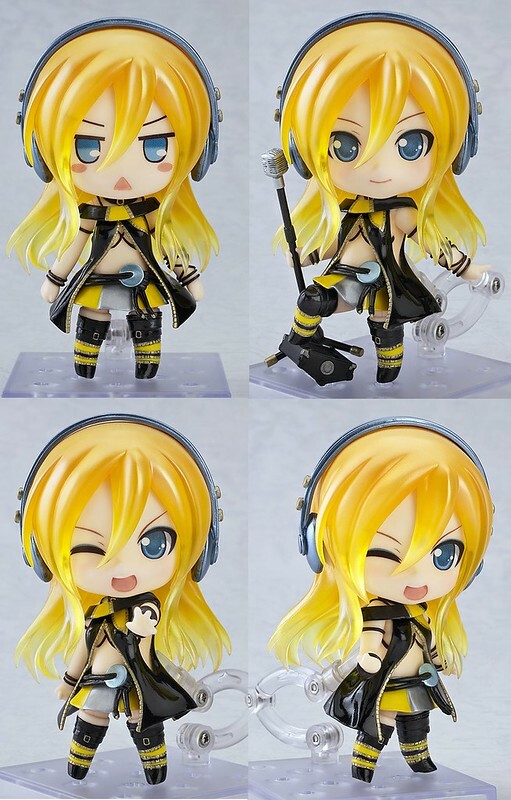 I am glad that GSC has finally shifted to make more Vocaloid character – especially non-Crypton characters – into Nendoroid, starting with Gakupo, GUMI, and now Lily from anim.o.v.e. 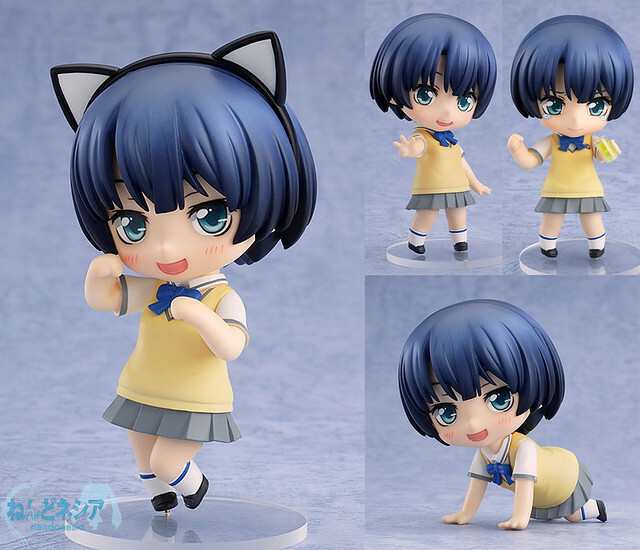 Just in time before Nendoroid Takatsuki Ichika‘s release, Mikatan has just posted a preview of the upcoming Nendoroid Tanigawa Kanna from Ano Natsu de Matteru. She will bring along three expressions: default / smiling, indulgent, and crying face. She will also have a cat ears band and the ‘Dynamite Drink’ to recreate various scenes from the anime.